He begins with a statement of what is to be investigated concerning nature and grace; he shows that nature, as propagated from the flesh of the sinful Adam, being no longer what God made it at first,—faultless and sound,—requires the aid of grace, in order that it may be redeemed from the wrath of God and regulated for the perfection of righteousness: that the penal fault of nature leads to a most righteous retribution: whilst grace itself is not rendered to any deserts of ours, but is given gratuitously; and they who are not delivered by it are justly condemned. He afterwards refutes, with answers on every several point, a work by Pelagius, who supports this self-same nature in opposition to grace; among other things especially, in his desire to recommend the opinion that a man can live without sin, he contended that nature had not been weakened and changed by sin; for, otherwise, the matter of sin (which he thinks absurd) would be its punishment, if the sinner were weakened to such a degree that he committed more sin. He goes on to enumerate sundry righteous men both of the Old and of the New Testaments: deeming these to have been free from sin, he alleged the possibility of not sinning to be inherent in man; and this he attributed to God’s grace, on the ground that God is the author of that nature in which is inseparably inherent this possibility of avoiding sin. 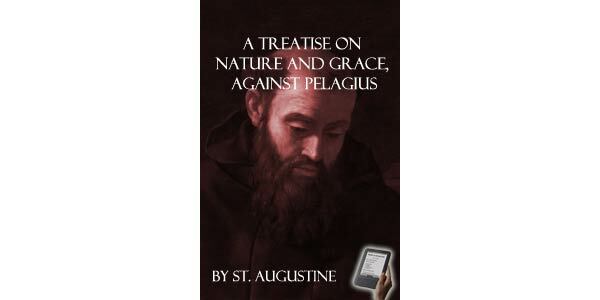 Towards the end of this treatise there is an examination of sundry extracts from old writers, which Pelagius adduced in support of his views, and expressly from Hilary, Ambrose, and even Augustin himself. The Occasion of Publishing This Work; What God's Righteousness is. He Proceeds to Confute the Work of Pelagius; He Refrains as Yet from Mentioning Pelagius' Name. Even Evils, Through God's Mercy, are of Use. A Simile to Show that God's Grace is Necessary for Doing Any Good Work Whatever. God Never Forsakes the Justified Man If He Be Not Himself Forsaken. A Man's Sin is His Own, But He Needs Grace for His Cure. Why There is a Record in Scripture of Certain Men's Sins, Recklessness in Sin Accounts It to Be So Much Loss Whenever It Falls Short in Gratifying Lust. How the Term 'All' Is to Be Understood. It Does Not Detract from God's Almighty Power, that He is Incapable of Either Sinning, or Dying, or Destroying Himself. 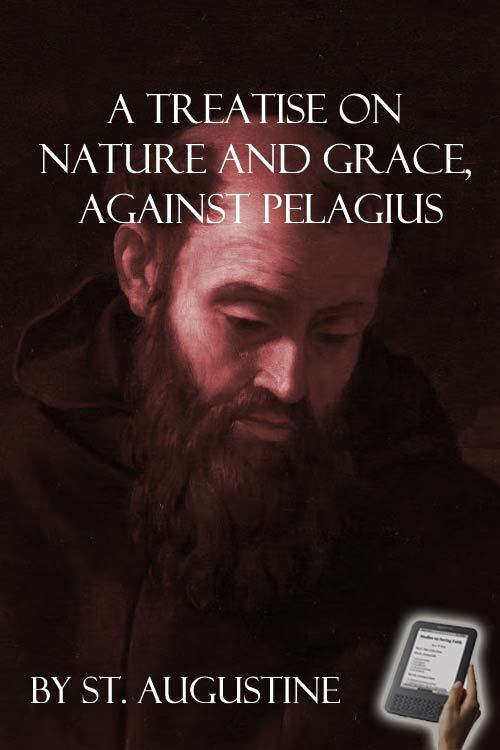 In What Sense Pelagius Attributed to God's Grace the Capacity of Not Sinning. Pelagius Admits 'Contrary Flesh' In the Unbaptized. Pelagius' Admission as Regards the Unbaptized, Fatal. Despite the Devil, Man May, by God's Help, Be Perfected.